America’s switch to from coal to gas for electricity generation continues to improve air quality while reducing costs for utilities and customers. Unfortunately, the shale oil and gas revolution fueling this change has placed a heavy burden on the country’s water resources. Although the steep decline in energy prices has stalled drilling and completion activities in many regions, the industry’s transition to longer horizontal segments has more than tripled the water consumed by hydraulic fracturing in recent years. Hydraulic fracturing involves pumping volumes of water into the reservoir rock until it cracks, creating pathways through which the hydrocarbons can flow into the well. This completion technique, coupled with horizontal drilling, has enabled US oil and gas producers to tap formerly stranded resources lock in low-permeability reservoir rock. Without hydraulic fracturing, US oil and gas production would fall off a cliff. The energy industry’s growing consumption of freshwater for hydraulic fracturing and approaches to disposing the resulting wastewater have created significant challenges. Procuring water in arid climates with existing shortages entails higher costs, while the wastewater includes a number of contaminants, including residual crude oil, harmful bacteria and chemicals included in the fracturing fluid. The industry often deals with this wastewater by storing it in barrels or tanks, which are hauled via truck to a disposal well. Transporting these volumes by truck adds to producers’ costs and damages local roads. The associated noise and traffic congestion likewise invite local opposition to drilling. These problems are especially pronounced in the Marcellus Shale and other regions that lack the capacity to dispose of wastewater locally. And don’t overlook the increasing incidence of earthquakes in Oklahoma, a trend that studies have linked to wastewater disposal wells. Prior to 2010, the state experienced an average of three earthquakes a year, compared with more than 900 in 2015. How the industry can overcome these challenges emerged as a major topic at the DUG Midcontinent conference that the Energy & Income Advisor team attended in Oklahoma City last week. Paid subscribers can check out our top takeaways and best investment ideas from the conference. Attending industry conferences gives us the opportunity to talk to people throughout the energy value chain and helps us to understand the risks and opportunities in a way that you can’t get from simply poring over quarterly results and listening to conference calls—though we do plenty of both. This on-the-ground intelligence gives us an edge in identifying the best investment opportunities in the energy patch and steering clear of the losers. The Midcontinent region has a long history of oil and gas production as well as shattered dreams—investors may remember the hype surrounding the Mississippi Line and the Granite Wash, plays that ultimately failed to live up to the hype. At the DUG Midcontinent conference, we wanted to learn more about the emerging SCOOP and STACK plays in the central Oklahoma’s Anadarko Basin. Well results continue to show promise, and drilling activity in this area has picked up significantly in recent months. Accelerating activity and improving economics suggest that the leading producers in these plays can take market share in an environment where oil prices remain lower for longer, while incumbent midstream players also stand to benefit from growing throughput on their existing systems and demand for additional capacity. Our favorite master limited partnerships that offer exposure to this play yield more than 9 percent. But accelerating oil and gas development in the region also translates into increased demand for water and a greater output of wastewater. Recycling wastewater has emerged as the best solution to this challenge, as these technologies reduce the environmental impact and lower costs by dramatically decreasing the call on freshwater and the volumes hauled away to disposal wells. These advantages are particularly compelling in Oklahoma, where the state government has started to contemplate new rules for water use. At the DUG Midcontinent conference’s technology showcase, France-based Veolia Environnement (Paris: VIE, OTC: VEOEY) pitched its ShaleFlow system to equipment procurement managers in attendance. This technology integrates several patented processes to recycle an extraordinary 98 percent of hydraulic-fracturing wastewater and leave zero liquid waste behind. The system removes manganese and other elements, harmful bacteria and hydrocarbons that the operator can aggregate and sell. And the process is lightning fast, with a backwash time of only 12 minutes—an essential feature in an area where drilling and completion activity looks set to accelerate. Water recycling is critical in this play because of insufficient disposal capacity. Transporting wastewater by truck on mountain passes is also dangerous and destructive to the roads themselves. Veolia Environnement’s technology will enable Antero Resources to drill larger wells and permanently reduce the company’s costs. Other technologies highlighted at the DUG Midcontinent Conference include solutions that cut down on water evaporation from supply reservoirs. Israel-based NeoTop Systems has partnered with the national water company in its home market that has reduced evaporation by more than 80 percent over the past several years. This solution has also helped to reduce algae growth and doesn’t involve any maintenance costs. NeoTop Systems has additional pilot projects underway in Chile and California, where the company has partnered with American Water Works (NYSE: AWK). The big losers from energy industry’s rollout of these technologies appear to be companies that specialize in the low-margin business of operating disposal wells. Not only have these outfits taken a hit from reduced drilling activity and lower price realizations on recovered crude oil—a key contributor to profitability—but growing adoption of water recycling also eats into their business. Clean-up costs associated with tightening state and local environmental standards likewise pose a threat, not to mention concerns about earthquakes—a point hammered home by the magnitude-5.0 quake that hit Cushing, Oklahoma, on Sunday night. For this reason, we have maintained a Sell rating on Cypress Energy Partners LP (NYSE: CELP) and other names that operate wastewater disposal wells for more than two years. As part of our ongoing effort to bring our subscribers the best analysis and intelligence, the Energy & Income Advisor team attended the DUG Midcontinent conference to meet with key players in the region and learn about the risks and potential opportunities. 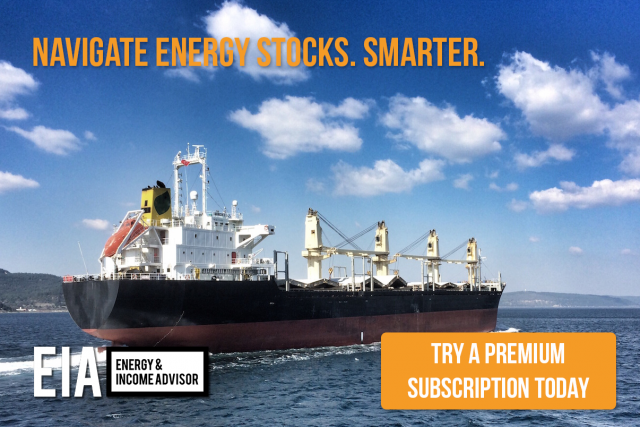 We’ll share our key takeaways from the event and our best ideas in an exclusive report for Energy & Income Advisor subscribers. If you haven’t joined our service yet, now is the perfect time to become a member.